On the 21st February 2018 Baroness Armstrong of Hill Top led a short debate on the question “to ask Her Majesty’s Government what action they are taking to promote the importance of volunteering”. The Bishop of Newcastle, the Rt Revd Christine Hardman, spoke in the debate. The Lord Bishop of Newcastle: My Lords, let me tell your Lordships about Benwell in the west end of Newcastle. It is one of the most deprived areas in the country, with 37% of children living in poverty. It is home to one of the largest food banks in the UK, which featured in the Ken Loach film, “I, Daniel Blake”. In his film, Loach deliberately used the real-life food bank volunteers as extras. Kathy, committed volunteer and a reader in her church, featured in the film. Kathy volunteers at the food bank because she knows what it is like to be hungry. She volunteers at the citizens advice bureau because she knows how complicated the benefits system is. She volunteers in the local school because school was one of the few sources of hope in her own difficult childhood. 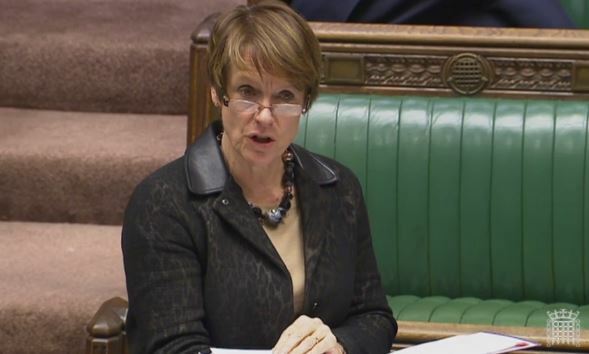 On the 20th July 2017 the Second Church Estates Commissioner, Dame Caroline Spelman MP answered two oral questions to the Church Commissioners in the House of Commons, on food poverty and on growing the rural church. A transcript of the questions and follow-up questions by MPs on other issues, are reproduced below. The Second Church Estates Commissioner (Dame Caroline Spelman): First of all, may I congratulate the hon. Member for Houghton and Sunderland South (Bridget Phillipson) on her appointment to her role representing the Speaker’s Committee on the Electoral Commission? I thought she did a very good job of answering the questions. Seventy-five per cent. of churches collect food, 38% provide volunteers, 29% help to manage a food bank, and 21% distribute food vouchers. Churches also ​work in partnership with organisations such as Citizens Advice and Christians Against Poverty to tackle the underlying causes of food poverty. 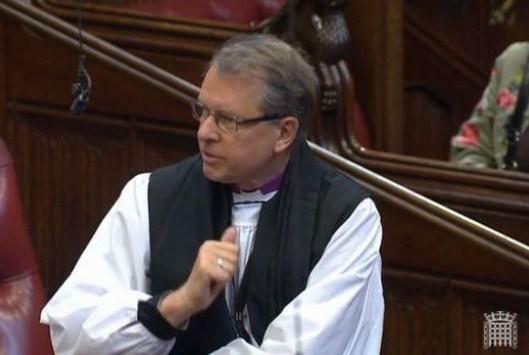 On 13th July 2017, Lord Bird asked the Government “what steps they are taking to prioritise their focus on the root causes of poverty and disadvantage.” The Bishop of Leeds, the Rt Rev. Nick Baines, asked a question in follow up. The Lord Bishop of Leeds: My Lords, does the Minister agree that there is a problem here, in that we want to applaud the employment figures released today but, at the same time, we need to recognise that it is people in employment who are using our food banks, where the numbers have rocketed in the last few years? Therefore, the simple statement that we applaud the rise in employment disguises a deeper problem. 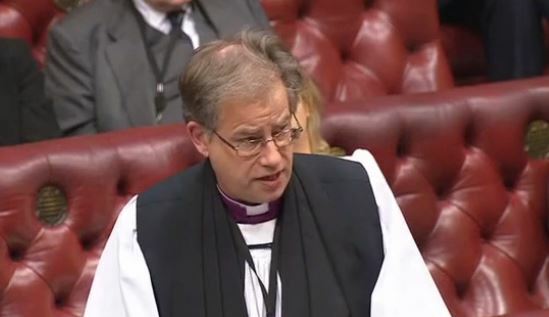 On 9th March 2017 Labour Peer Baroness Sherlock asked Her Majesty’s Government “what assessment they have made of the impact on claimants of the time taken between applying for Universal Credit and receiving payments.” The Bishop of Oxford, Rt Revd Steven Croft, asked a follow up question. On 19th May 2016 the Bishop of Durham, Rt Revd Paul Butler, spoke in the first day of debate on the Queen’s Speech. He focused his response on the Government’s life chances agenda, including poverty, children and welfare reform. “to support the development of a Northern Powerhouse”. It is in welcoming these that I shall make most of my remarks. 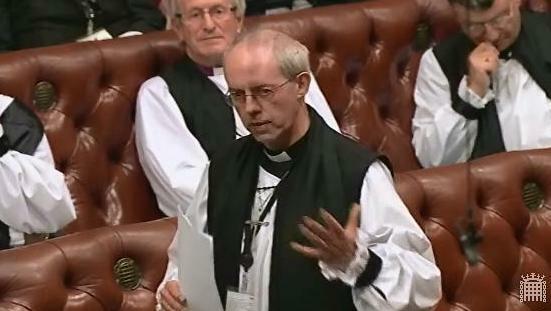 The Archbishop of Canterbury: Does the Minister recognise that the comments at the time of the previous Government about there being no link between benefit changes and food banks was significantly challenged at the time and that our experience in Church of England, which is involved in the vast majority of food banks across the country, is that between 35% and 45% of people coming to get support from food banks report that the reason for running out of food is to do with changes to the benefit system and sanctions? 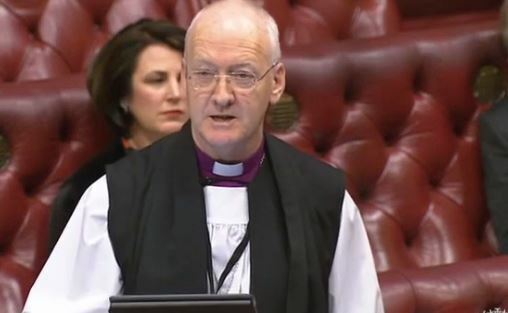 Lord Prior of Brampton:All I can do is repeat what I said before which is that, as Ed Davey said, there is no statistical link, in his view, between the Government’s benefits reforms and the provision of food banks. I think that the issue is much more complex than the most reverend Primate is suggesting.